Non-clumping Sanicat ClaΒic is made from 100% natural sepiolite, known for its ultra absorbent qualities and ability to reliably take on liquids. This helps to keep unpleasant odours contained and provide long-lasting protection against smells throughout your household. 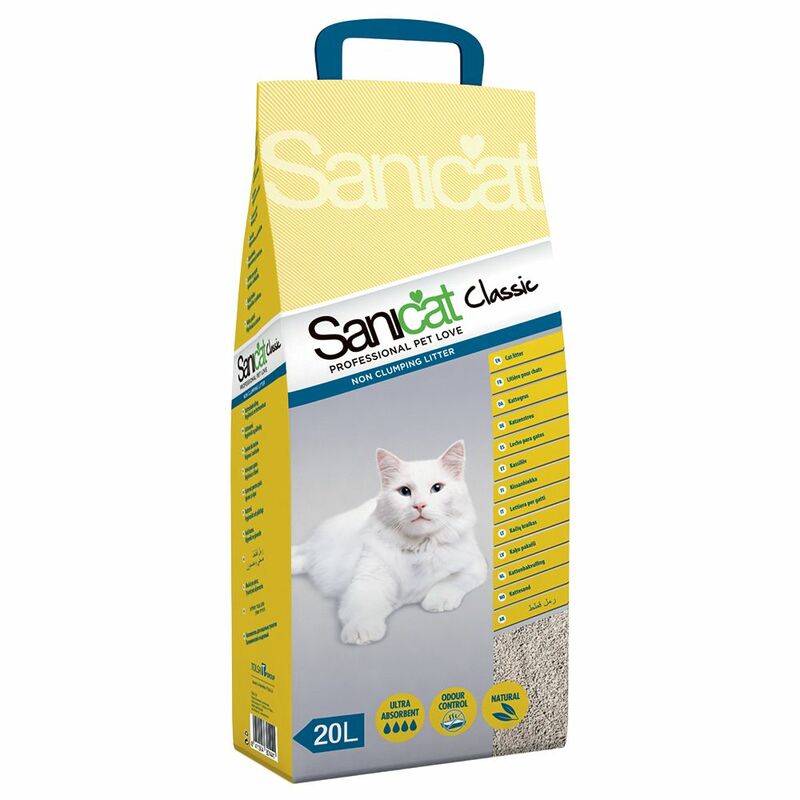 Sanicat ClaΒic is particularly absorbent, making it a great choice for reliable hygiene. This cat litter contains no artificial additives or scents, meaning it is well accepted by most cats. It is also easy to use, with no clumps to be removed each day. Waste can be removed as your desire and you should only need to change your Sanicat ClaΒic cat litter about once per week. Sanicat ClaΒic at a glance: 100% natural, non-clumping cat litter Ultra absorbency strength: made from 100% sepiolite, a natural mineral known to be extremely absorbent and great at keeping unpleasant odours at bay Free from artificial additives or scents: making it well accepted by cats as well as kind to human noses! Long-lasting odour control: offering the optimum in hygiene Easy to use: no need for daily removal of clumps Entirely natural product that is kind on paws.